Are you looking for a local dry cleaning company that you can trust with your most precious garments? Here's how to find a dry cleaner who you can count on. Are you trying to find the best local dry cleaning services for your wardrobe? With so many dry cleaning options out there, it can be difficult to identify the perfect one to entrust with your precious garments. 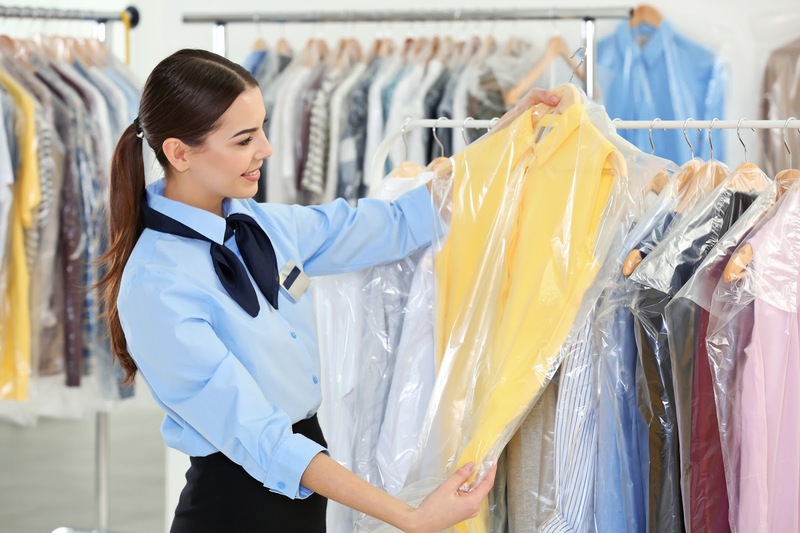 If you're new to the world of dry cleaning, you may just not know where to begin or what to look for in reliable dry cleaning services. Luckily, there are ways to ensure you're taking your clothes to the best place in town. Read on to learn more about our tips for finding the dry cleaning services of your dreams! One of the best ways to gather names of reputable local dry cleaning services is to ask around. You can start by asking friends and family members for their recommendations. It's also important to check in with local businesses about their dry cleaning recommendations. If you are a frequent visitor to a local consignment shop, for example, ask the business owner about her dry cleaning referrals. This goes for any clothing shop in town, particularly if it is a local one. Smaller and local businesses are more likely to have a solid presence in your community and insider's knowledge on the best place to take your clothing for special cleaning. This goes without saying. Cleaning franchises have locations across the nation, and while they may be everywhere, they may not be reliable. This is because franchises of any kind are all about convenience, processing huge amounts of goods in a short amount of time, and getting customers in the door. They may not prioritize your unique experience, engaging with your local community, and natural cleaning processes. Avoid franchises as you're looking for local dry cleaning services. Even if they offer you what seems to be a good deal or a book of coupons, pass it up. You won't want to entrust your precious garments to their care. This is one of the best ways to identify your best local dry cleaning services. There are so many opportunities to share reviews and ratings for local businesses these days, so make sure you get the online scoop before you jump. Check out sites like Google or Facebook for reviews. Always make sure you pay attention to the most recent reviews, as sometimes stores can change over the years. The more recent the review, the more relevant it will be. Many local dry cleaners will also have customer reviews or testimonials on their website. Make sure you read through these in addition to your Google scouting to see what the word on the street is. Look for places that have a high number of reviews. This means that the dry cleaner is drawing in a lot of local customers. Naturally, look for places with the highest number of 5-star reviews. If you're looking for a dry cleaner who is reliable, look for one that's been around for a while. We're not talking just a year or a handful of months! Browse the dry cleaner's website to see if you can identify when they got started. The dates of reviews in online testimonials can also give you a big clue as to how much experience the dry cleaner has. Experience can be measured in other ways, too. If the dry cleaner hasn't been that local for that long, see if they've been anywhere else. Some cleaners will operate for a decade in one town and then move to another, for example. If you aren't sure about the local dry cleaner's experience, give them a call and ask. The best local dry cleaning services will have a solid website and be active across multiple digital platforms. Start by checking out the cleaner's website. Look for the services that they offer, and prioritize websites that list a variety of services that don't just include household garments. Look for cleaners that offer wedding gown and formal attire cleaning in addition to other specialty cleaning services. Make sure the website appears up to date and has accurate contact information. Check out the cleaner's blog if one exists, as well as any media attention. Also inspect social media accounts, if possible. A dry cleaner that has a solid website and is active on social media indicates one that cares about its customers. They will prioritize engagement and community. Another way to ensure that you're getting reliable dry cleaning services is to check in with the dry cleaner about the processes they use to clean your garments. Investigate the cleaner's website or call the shop so that you can get a good sense of how specifically they will handle your clothing. Be wary of any cleaners who advertise super fast cleaning or "organic cleaning" as this isn't a real thing. This may indicate that they don't take the care or time to make sure your garments are clean and immaculate. If you've found a dry cleaning service that seems to be stellar, do a trial run! Take in one garment for cleaning service and see if you like the result. If you like the result, awesome! Take the rest of your clothing in for service with confidence. Lastly, the best way to ensure you've found the best local dry cleaning is to talk to a representative. Either go to the store and talk to the staff in person or get someone on the phone so that you can ask questions about the service they provide. At Janet Davis Cleaners, for example, we are always here for you. Give us a call or contact us through our website with your dry cleaning questions today. Your clothing requires proper care and attention. When researching dry cleaning services in your area, take your time and do your research well. Browse online reviews and directories, or ask for local recommendations from small business owners. Do a test run with one garment to see if you like the services, and make sure you know what process the cleaner uses to keep your clothing sparkling. At Janet Davis Cleaners, you can rest assured that you're taking your clothing to the best local cleaners in Berkley and Bloomfield. Learn more about the services we offer today!